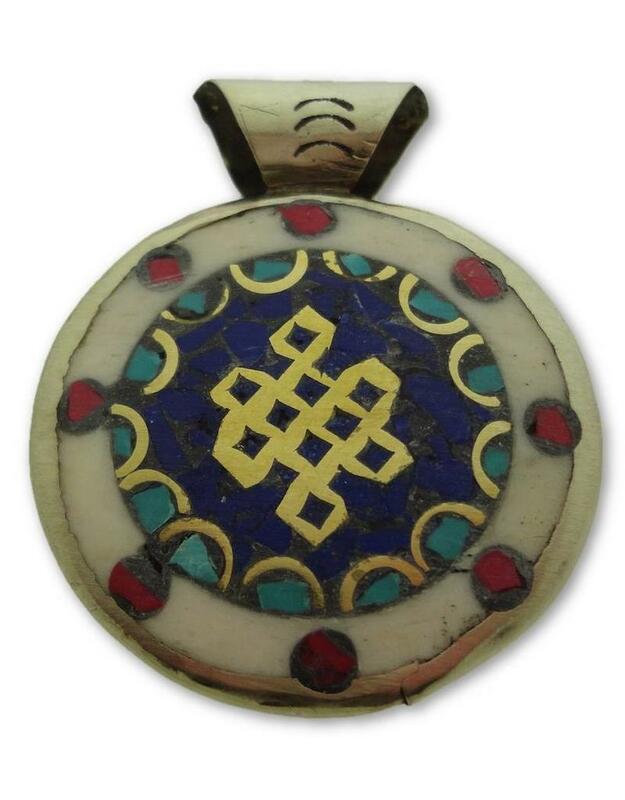 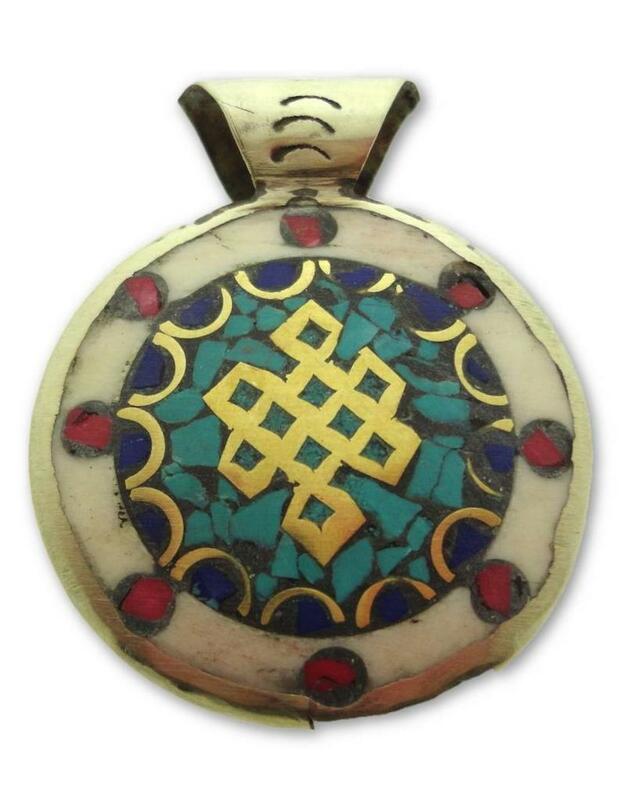 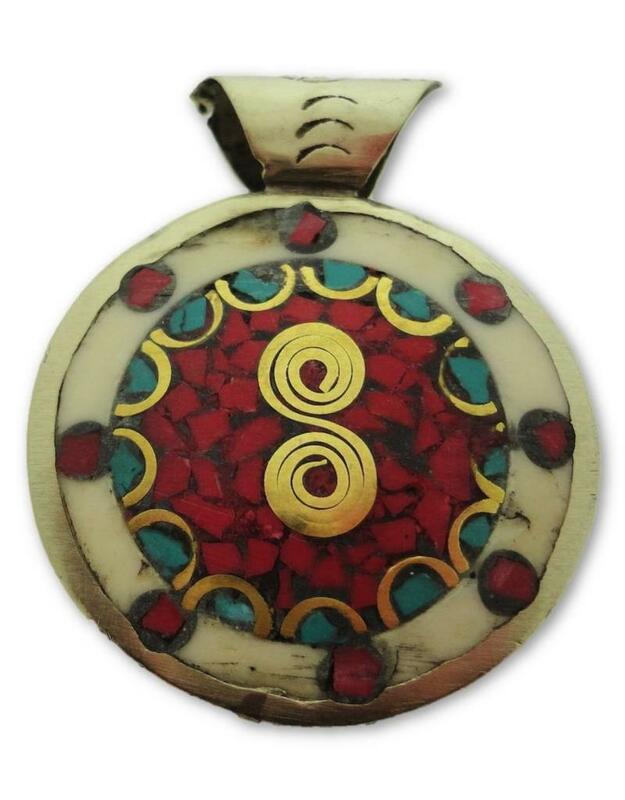 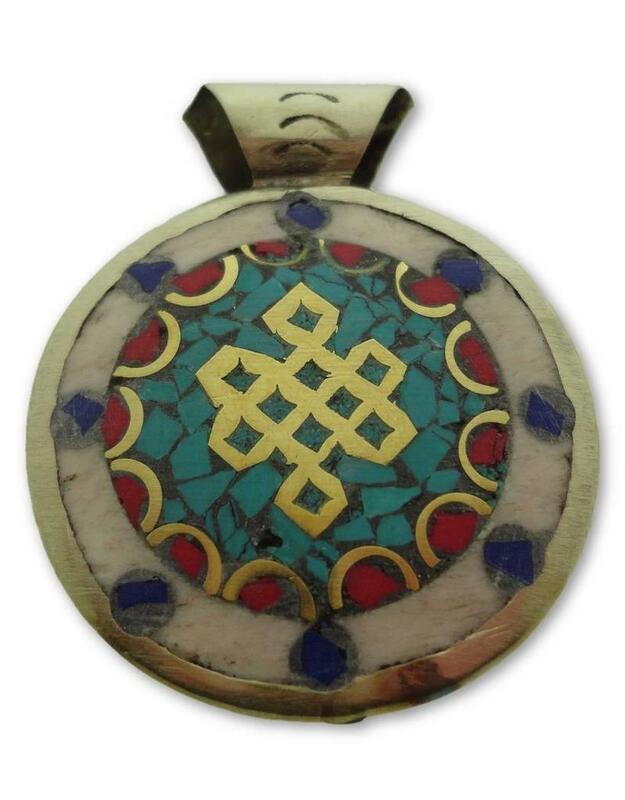 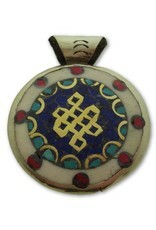 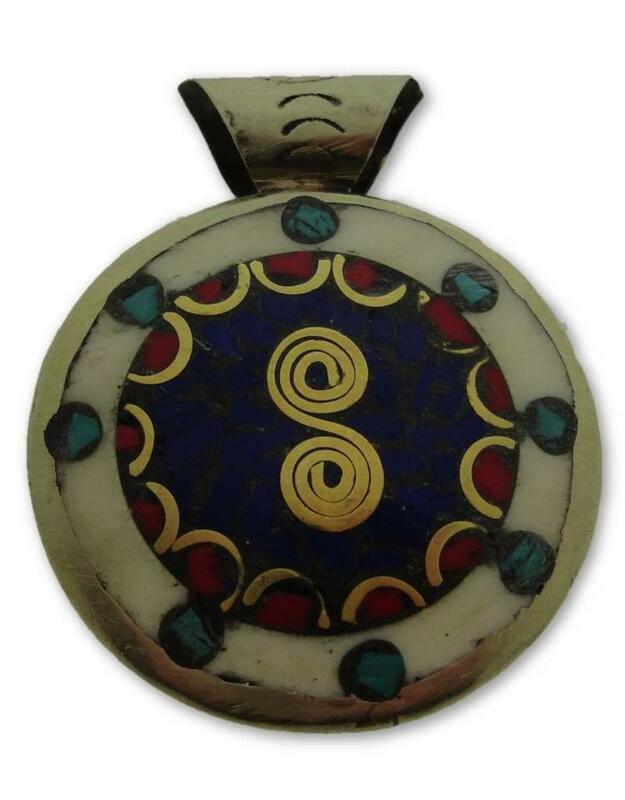 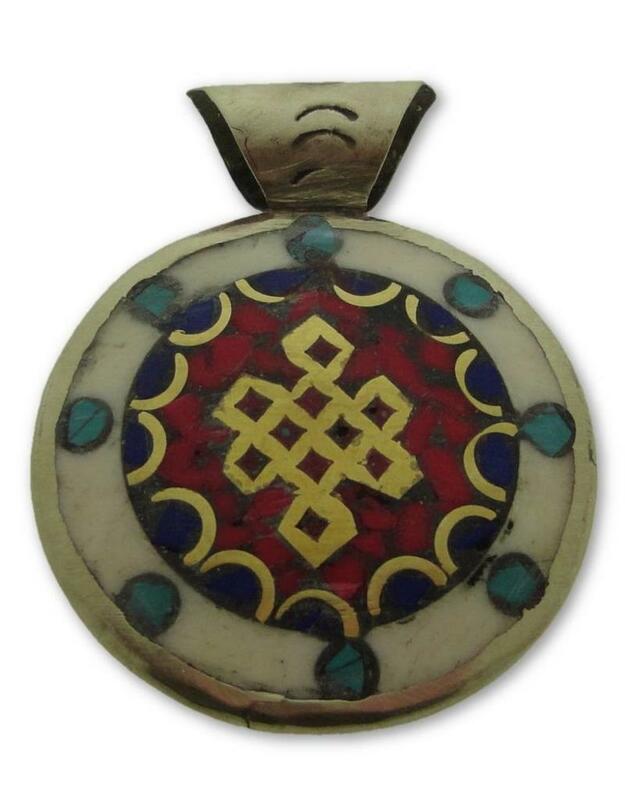 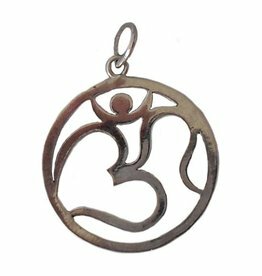 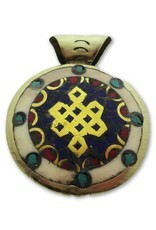 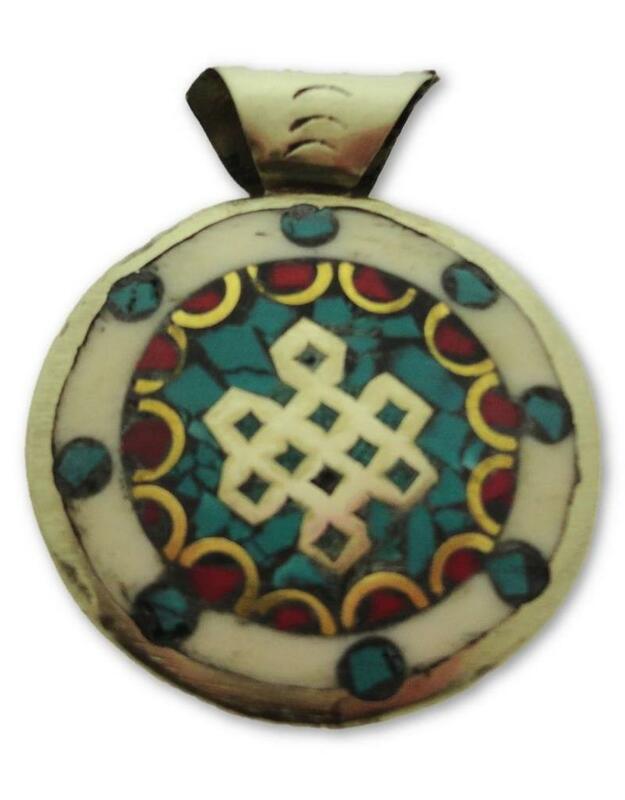 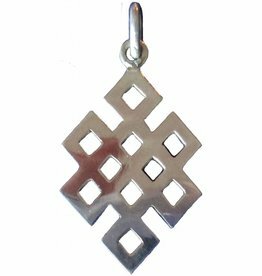 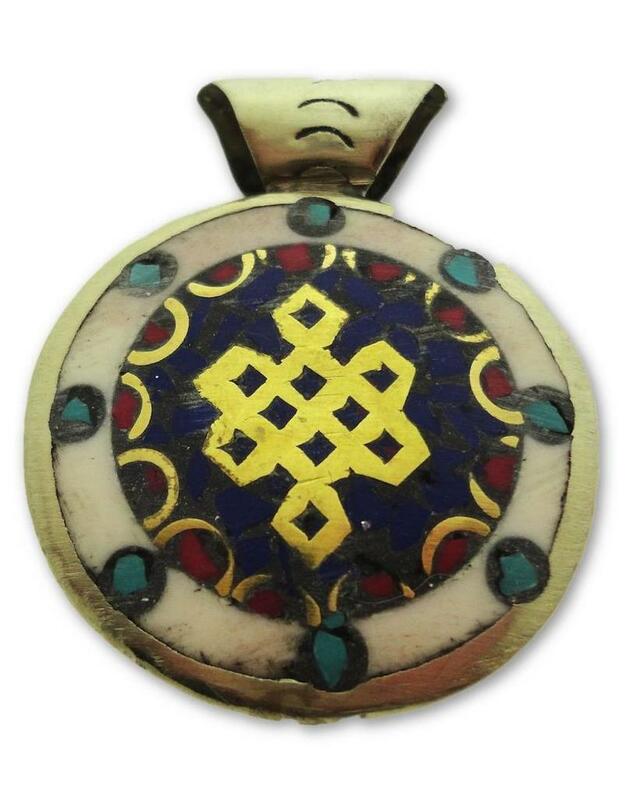 Pendant made of Tibetan silver with the never ending knot symbol. 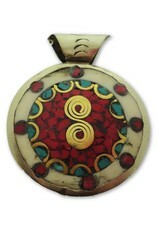 The pendant is double sided and inlaid with coral and turquoise pieces. 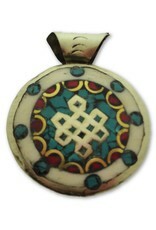 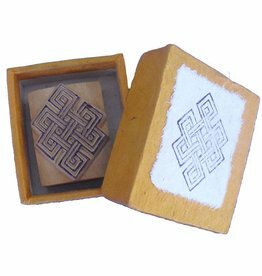 The endless knot is derived from the ancient Indian symbol, the Shrivatsa. 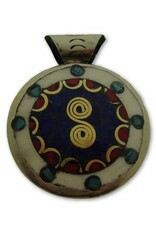 It symbolizes prosperity, long life and infinity. 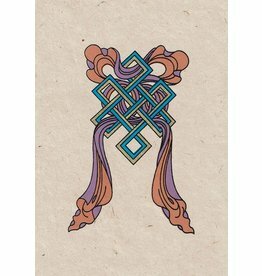 Choose your colour above. 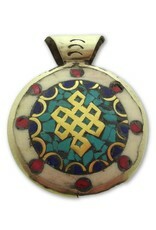 Jewelry from Nepal are not always straight and as fine as our jewelry from Bali or silver pendants from Nepal. 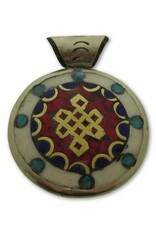 Tibetan silver is a mix of silver and several other metals. 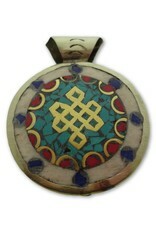 The pendant is 3.3 cm x 3.3 cm x 0.7 cm (with bail 4 cm).